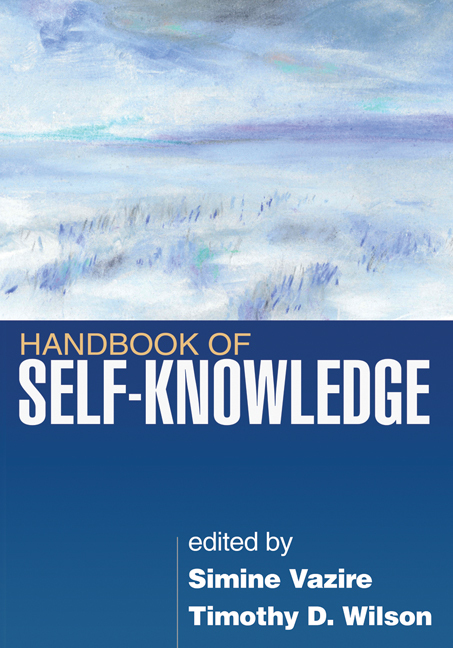 This authoritative handbook reviews the state of the science of self-knowledge, a key emerging area in psychology. Leading investigators describe innovative theory and research that is shedding new light on how—and how accurately—people perceive their own traits, thoughts, feelings, behavior, and relationships. Coverage encompasses the behavioral, mental, biological, and social structures that underlie self-knowledge; approaches to studying self-beliefs in specific domains; and the motives and biases that influence accuracy. The volume explores the personal and societal benefits of self-knowledge and also considers possible ways to enhance it.